Originally formed as BB Blueboard and Plaster we quickly grew our customer base on commercial and residential properties. In 2015 we changed our DBA name to Tri Star Drywall and over the last few years we have created a new division due to a great deal of clients requesting Metal Framing services. 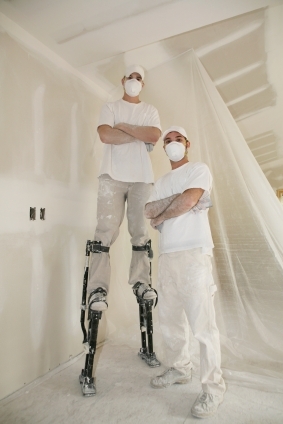 Our focus on drywall installations has pivoted only slightly to meet this demand. Company founder Bryan Betts having worked on many construction projects in Boston for sub contractors in the late 90's and built up a favorable group of fans for his work and attitude to his profession. Armed with these votes of confidence and a strong will to succeed in business and life, Bryan decided to set up his own business and Tri Star Drywall came to be. A job well executed and professionally done brings us great satisfaction and our clients.